However, Sanjay was spot on with his praise for England's top performers. England scripted history by registering a stunning series whitewash over Sri Lanka in the three-match Test series. At no stage did they let the home side feel comfortable and that too in their own den when it came to grabbing on the crunch moments in the close games. 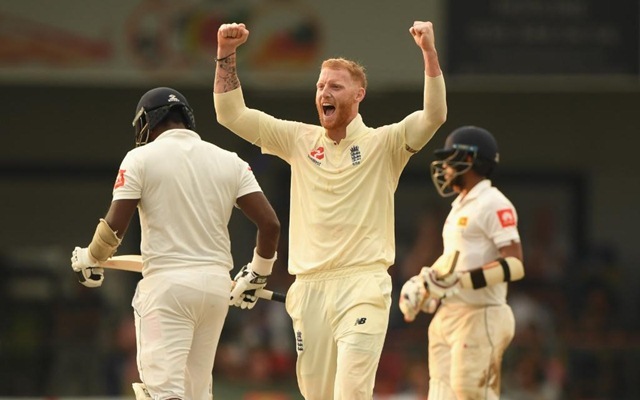 The same happened in the final Test match when Ben Stokes employed the bouncer tactic against the Sri Lankan batsmen and it worked wonders for them. England’s premier all-rounder ended the series with 187 runs to his name in six outings and also picked five wickets. However, out of those, he scalped four in the last Test and bowled his heart out in the humid conditions in Colombo. Delighted after the victory, the coach Trevor Bayliss termed Stokes’ performance as exemplary and praising him for showing character throughout the series. He also went on to add that the cricketer has changed his conduct ever since the unfortunate incident in Bristol took place which had put him almost in jail for a lengthy period of time only to be relieved without any charges later. Meanwhile, the former Indian cricketer Sanjay Manjrekar wasn’t amused with the credit going to Ben Stokes. He felt that the likes of Jack Leach, Moeen Ali and Ben Foakes were exceptional in the three Test matches and the all-rounder took all the credit with his show in the last game. While Sanjay was spot on to praise Leach and Moeen who equally shared 36 wickets in the series, he ended up taking a sly dig at Stokes for taking all the credit in the end. Even Ben Foakes was rightly awarded the Man of the Series for amassing 277 runs, the most, in his debut series which also included a century in his first ever international game. His ton had set the tone of the series. However, when one of the cricket fans on Twitter, tagged Ben Stokes in the post only to irk him as he came up with a perfect reply to Sanjay Manjrekar. The 27-year-old affirmed that each and every member in the England squad doesn’t care about the personal credits and believe in team work. “We don’t care about personal credit,and garnish is pointless on all food anyways,we care about winning,it’s a team sport and we won as a team #3-0 Cheers Sanjay,” read Stokes’s reply.